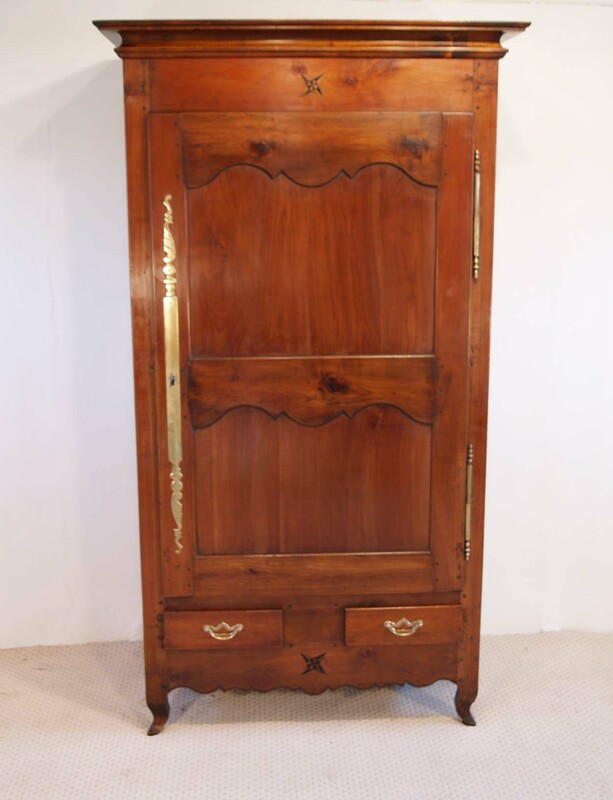 A delightful petite French antique cherry bonnetiere / armoire, with 2 drawers in the base, originating from the Brittany region of France, C 1810. 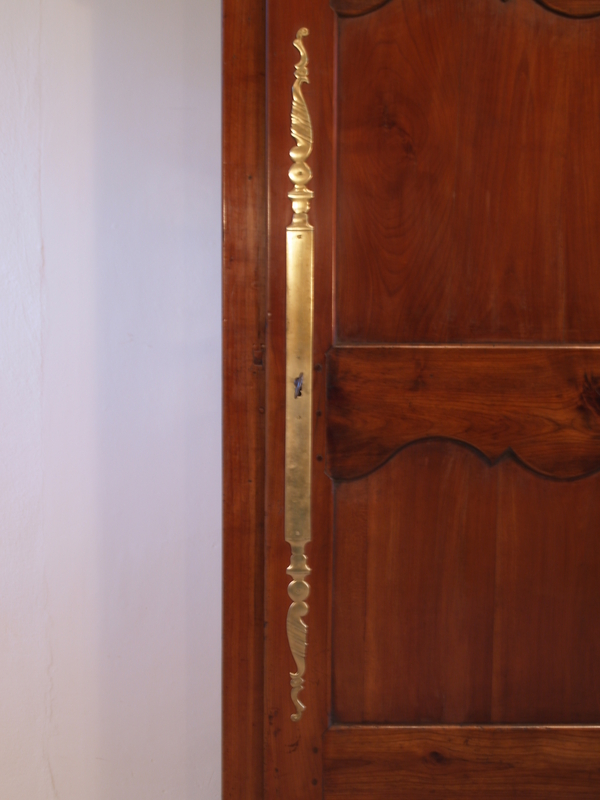 The inlays top and bottom, add to the quality along with the original long brass escutcheon plate,brass hinges, antique lock and key, complete this unique piece. 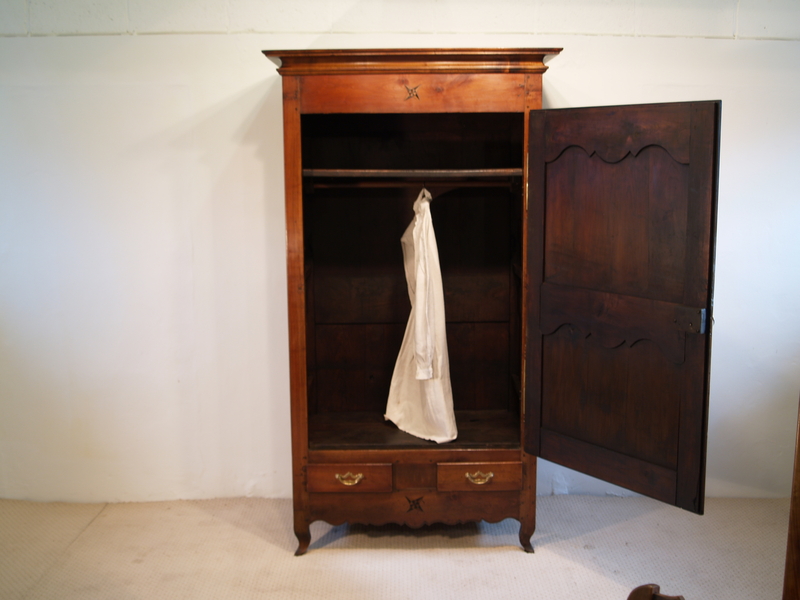 It has been fitted with a hanging rail, so can also be used as a wardrobe if required. 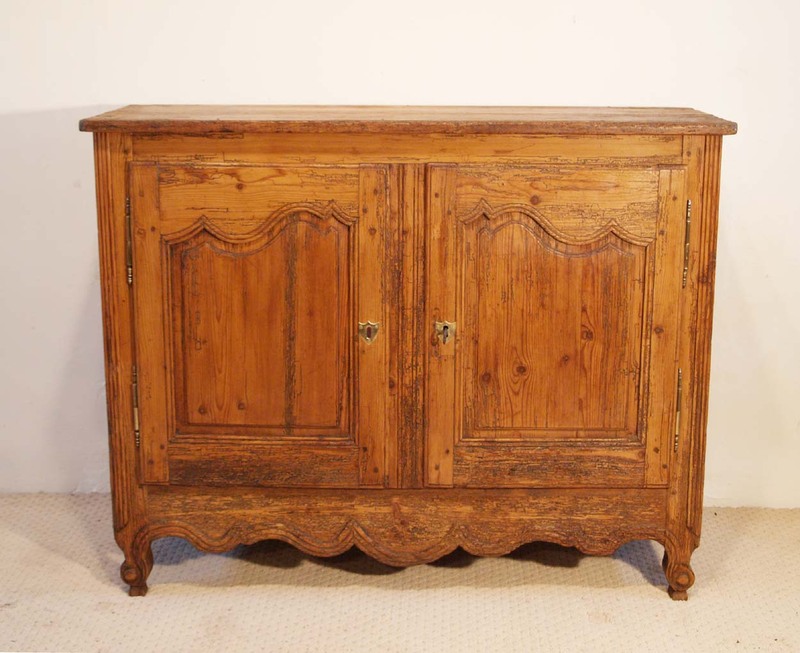 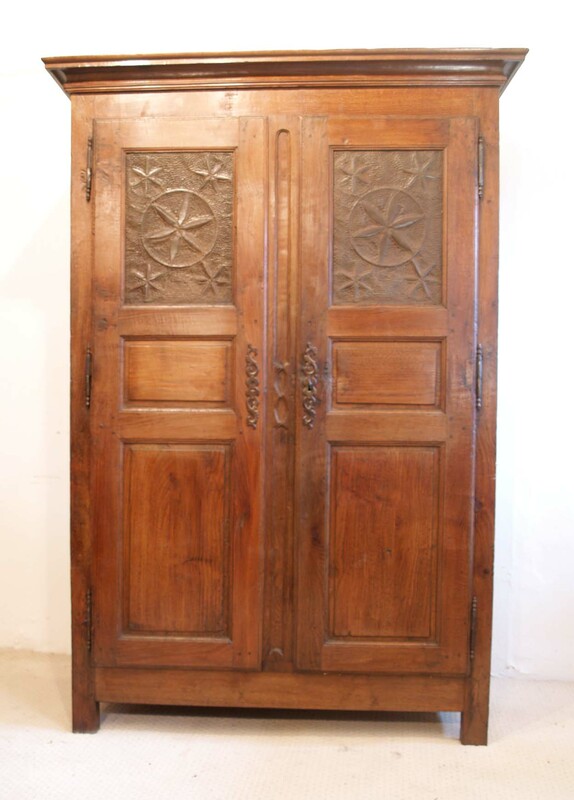 A single door armoire is known as a bonnetiere. 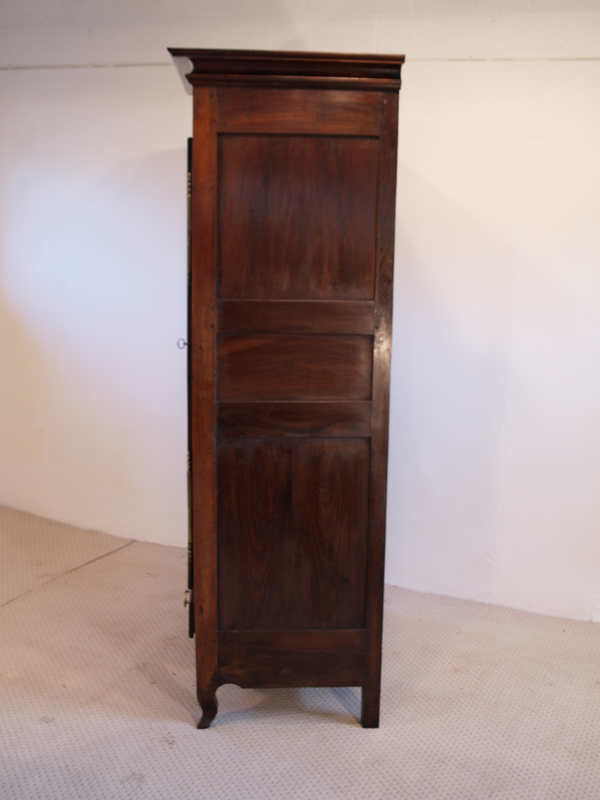 They also built a piece with a door in the the top, then 2 drawers in the centre and a door at the bottom, known as an “Homme Debout”, meaning standing man. 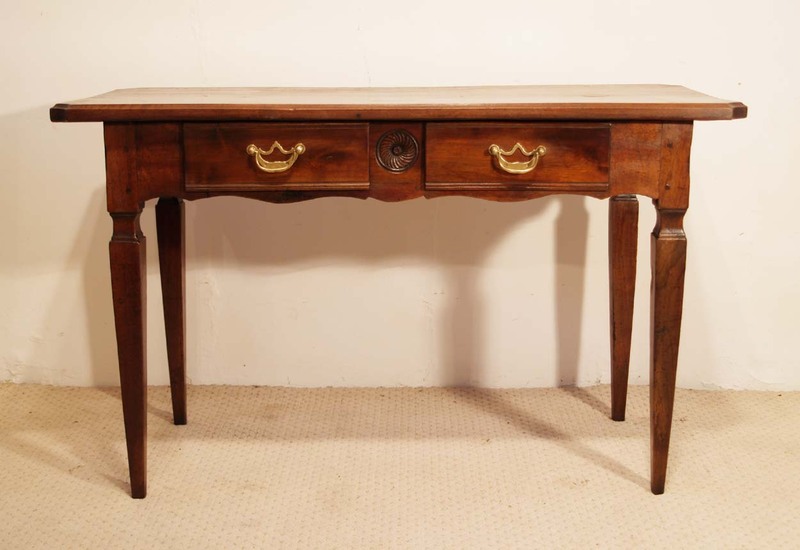 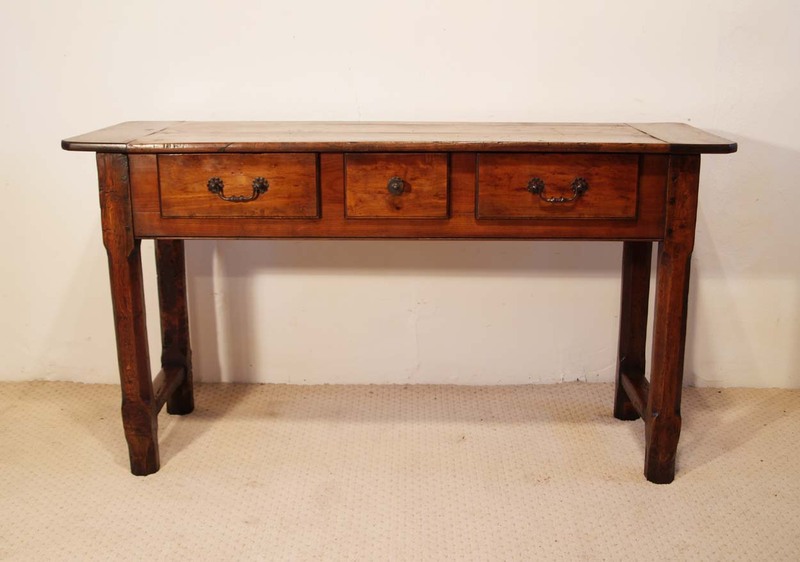 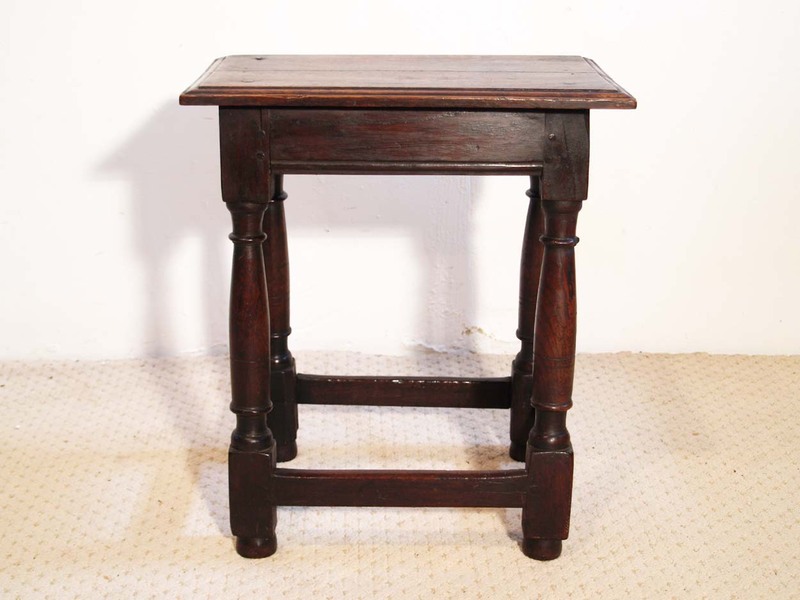 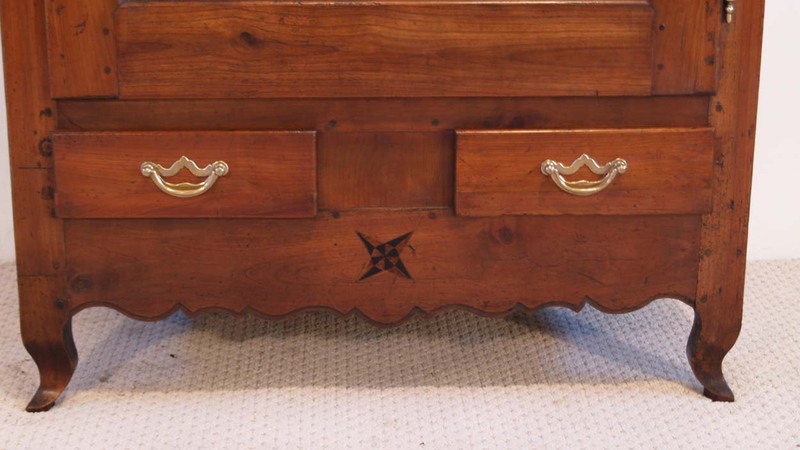 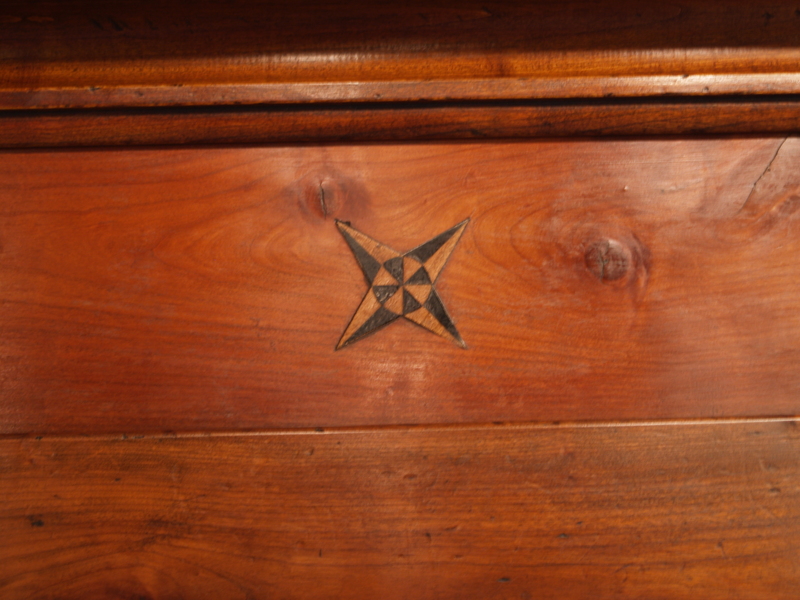 Rumour has it, that a person could hide inside, during the French revolution, as the drawers would be false fronts and no one would suspect a person to be inside.